Prophetess Jacqueline Strawder-Perrera, Prophetic Teacher/Overseer Hallelujah Praise Ministries, Inc.
You are amongst the ones that shall arise with my Spirit and do great and mighty things in the earth as did my servant Elijah the Prophet. I shall pour out of my Spirit the spark of life that will ignite the flame of eternal life. 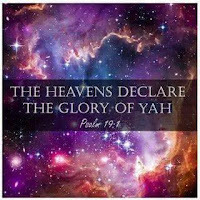 Rejoice O’ Daughter of Zion for the LORD shall establish His people—His “Chosen and Remnant” in the land. He shall gather the remnant together and anoint them afresh with the great outpouring of His Spirit, says the LORD God of Hosts. He shall set aflame the love of His heart with rain drops of fire that purifies the longing soul. He will purge out the draught and purify seven times the souls of His people to strengthen them and equip them to stand and be holy as He is holy. For the righteous seed shall grow up and declare with boldness what “thus says the LORD”. They shall perform exploits and miracles; and signs and wonders shall follow them as they proclaim, and explain “My Word.” They shall be strengthened with might in the inner man. They shall shine as jewels. They shall lay hands on the sick, and they shall recover, they shall cast out devils, they shall speak life and not death and those who are sick and afflicted shall be delivered from “spirits of infirmities,” says the LORD. For I shall be with them to perform the council of my will in the earth in designated places to show forth my strong arm of righteousness and to declare my mighty acts in the land unto the children of men; and my sought out shall inherit the earth. O’ Beloved Daughter’s, and my royal diadems rejoice and be glad for such a time as this. For I shall use you to my glory, says the LORD. And you shall perform my desires upon the earth. You shall be my intercessors and the conduit of my hands and shall perform great acts of faith. That men shall marvel at my greatness, and bow to my glorious name. They shall repent of their sins that I may forgive them and heal them! For my servants the prophets shall prophesy! They shall write, they shall see visions and dream dreams, they shall proclaim and explain, they shall comfort them that mourn, and they shall encourage and teach men the ways of the LORD. I shall send them to minister love and kindness; but even so they shall warn of the pending judgments from my word that shall find those who continue on in their sin and disobedience to my commandments, says the LORD.